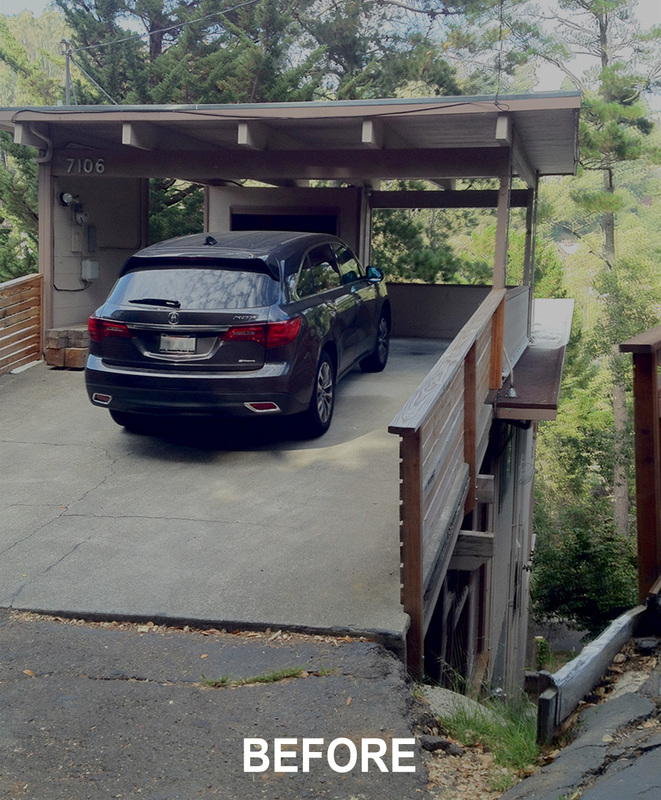 Many houses in the Oakland hills feature carports on top of living areas, but the weight of the cars can create costly structural problems over time. This Montclair residence faced a $150,000 structural upgrade for the carport alone. Lejarraga Studio came up with an ingenious solution: structurally separate the parking platform from the house and transform the existing carport into a top floor addition - thereby adding living space, improving street presence, and saving the clients money. The upper addition provides two new bedrooms as well as an entrance sequence that looks out over the Montclair woodlands. Downstairs, the house is being renovated to expand and combine the kitchen, dining, living areas to accommodate family gatherings. The bottom floor will feature a den that opens onto a terraced backyard - perfect for indoor/outdoor entertainment activities. To match the existing building’s mid century modern style while simultaneously honoring the owners’ Mexican heritage, Lejarraga Studio designed the addition in concrete taking cues from contemporary Mexican modernist architecture. The final design elegantly fuses the clients needs and budget with the beauty of modern design and site’s natural surroundings.